This amazing plant has bright red long drooping tassel like flowers on green foliage. 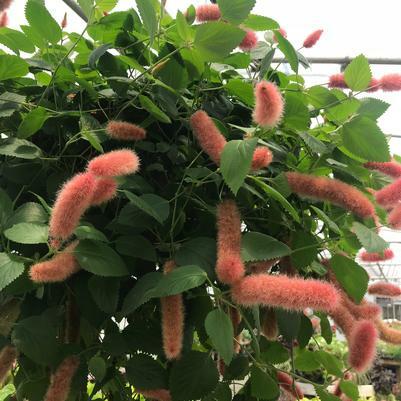 The chenille plant is aptly named because it also has extremely soft flowers that are the plants namesake. It is a great container and hanging basket choice but requires partial shade and ample water.